How Do Employers Cause Background Check Delays? Fortunately, the most common reasons for a delayed turnaround can be resolved at the employer. Inaccurate data can cause the screening company to be unable to verify background check results. Incomplete forms may result in the background check request being sent back for more information. The lack of correct authorization and consent can also bounce the request back to the employer. In truth, any time there is data entry on the part of the employer, there is a risk of error that could cause inaccurate results or slow down turnaround time because of missing requirements. How Do Job Seekers Cause Background Check Delays? Job candidates can also affect the time it takes to complete a background check because they are not giving complete information. For instance, if there are given names but the applicant used a nickname, the screening company may not be able to find a match. If the applicant has a gender-neutral name, or has changed their name, or doesn't identify as a gender, there could be challenges in accessing background records on that individual. If the applicant does not given consent to a background check or is not aware that they will be screened, this could cause delays as well as put the employer in jeopardy of non-compliance with the Fair Credit Reporting Act (FCRA). Reduce Turnaround Time with a Free Online Applicant Portal. Learn more! Which Background Checks Take Longer or Cause Delays? Some screens will also, by their very nature, take longer than others. Court records, as an example, may require more research to obtain than a simple identity check. Since there is no single database that contains all criminal records, locating dependable data may require more legwork than simply searching a database. Employment checks may also cause delays in receiving screening reports. Contacting employers may be more tedious, especially if the business no longer exists or if HR or the manager is not immediately responsive. Depending on the state, any background checks that refer to civil or criminal matters may take longer than others. Can Background Check Companies Cause Delays in Screening Results? As previously mentioned, a screening company may bounce back any requests that do not include complete and accurate information. To remain compliant under the FCRA, the background check company may also refuse to run background checks without the proper consent and authorization from the applicant. 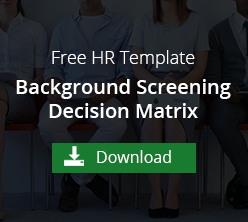 The applicant must also be made aware of any adverse action decisions based on the screening report and have the chance to dispute any inaccuracies. To reduce the likelihood of mistakes during the process, the background check company may verify and double verify to ensure the information is an exact match and factual. Background check companies, especially those who are accredited the National Association of Professional Background Screeners, are bound by the mission of providing verified and accurate data about consumers. Employers and the companies that provide this information must remain compliant and adhere to the consumer rights provided under the FCRA. To speed up the background check process, work closely with the screening company, ask lots of questions and suggestions for a faster turnaround. Employers should expect assistance with compliance and tips for making the background check process as painless as possible for all involved.